Each team will play seven home and away games, with the season starting on the first weekend of February. Teams will play the four other teams in their own conference, plus three teams from the other conference in a ‘weighted’ arrangement. The format will allow for one of the three so-called ‘crossover’ games to be based on a rivalry. The finer details of the fixture are yet to be confirmed, including the make-up of each conference. The fixture is expected to be announced in October. The AFL’s head of women's football Nicole Livingstone said conferences fitted well with the AFLW competition. "We recognise in having a seven-game home and away season not everyone will play each other once, so conferences allow for fairer ladders that reflect that, rather than a traditional ladder." Although the competition was continuing with seven home and away rounds, Livingstone said it was expanding in terms of the number of teams and players, as well as an extra week of finals. "Part of what we would like to do is continue with our growth and growth can be deemed in different ways. We're looking to grow our fan base…and looking at the best period of time for that as well," she said. "We've got 60 more players (in 2019 and) 120 more in 2020, so it is growing very fast, just in different ways. "We haven't gone with nine home and away games (for 2019) because we recognise that a finals series was determined by the playing group as something they wanted." Livingstone said the AFL had to consider the players' wellbeing in settling on a format. "Whilst I recognise that players would like to play longer, and some sections of the fan base would like (the season) to go longer as well, we also need to recognise that at the moment, they're part-time athletes. "The feedback we get back through the AFLPA and the players themselves is they're also struggling with things like leave at work, managing time off and the period of the competition,” she said. "A lot of players spoke to me at the end of the eight-week season saying they were absolutely exhausted. We do need to also have a product that’s viable and sustainable and have something to move up to in the future." Adding extra matches would also increase costs, including player payments, accommodation and travel, which are all footed by the AFL, rather than clubs. 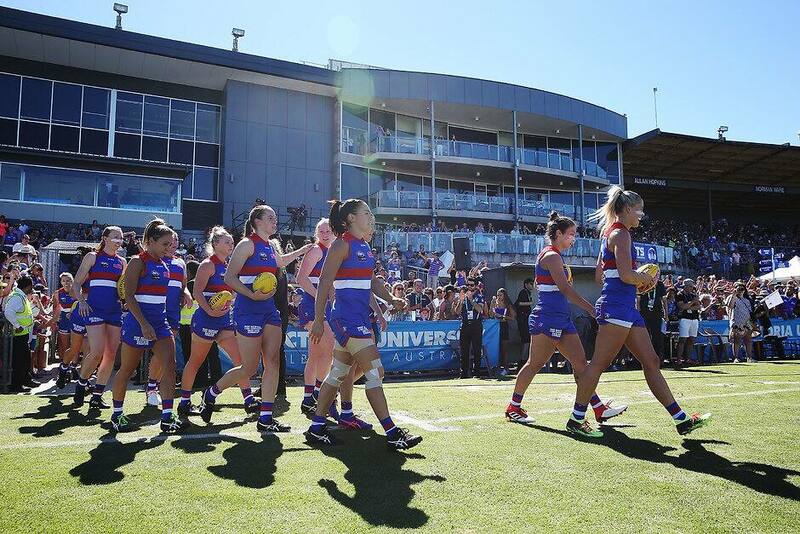 The AFL has indicated funding women’s football was a juggling act, with the need to invest in talent pathways around the country, as well as the main competition. With five games each round, a typical round would likely include a Friday night match, three Saturday matches and a Sunday game. A key consideration when teams are placed in conferences will be keeping the conferences competitively even. Geography will also be an important consideration, with the AFL aware of the need to spread travel requirements.